We offer 3 Types of Care: Relief, Stabilization & Wellness! 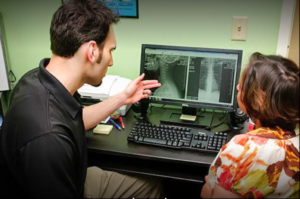 At first, many people seek care in our office with one main goal in mind… Relief from pain & symptoms! This is what we focus on and specialize in…Correcting the underlying cause! Stabilizing your alignment and muscle imbalances, helping to get your joints, muscles and ligaments to adapt to normal again. We talk about the 3 E’s. We Educate, Encourage & Empower our patients to achieve the highest levels of health they can. We hope to communicate the value of ongoing chiropractic care for maintenance of health, prevention of disease and improved quality of life. Our mission is to see our patients make healthy lifestyle choices and to lead them to be proactive and take control of their health. Instead of waiting for symptoms and then taking action, our message is to live well and remember that prevention is always better than a cure! If you live in Cary, Raleigh, Durham, Morrisville, Apex, Holly Springs, Garner, Chapel Hill, Sanford, Clayton, Fayetteville and the surrounding Triangle NC area and are interested to see how our approach can resolve your pain and other issues, while improving your overall health and wellness, please Contact Us,call 919-535-3091, or fill out our Online Form to set up an appointment today. Don’t worry about getting a referral- none is needed to make an appointment, and we accept most insurances and will file with them for you.